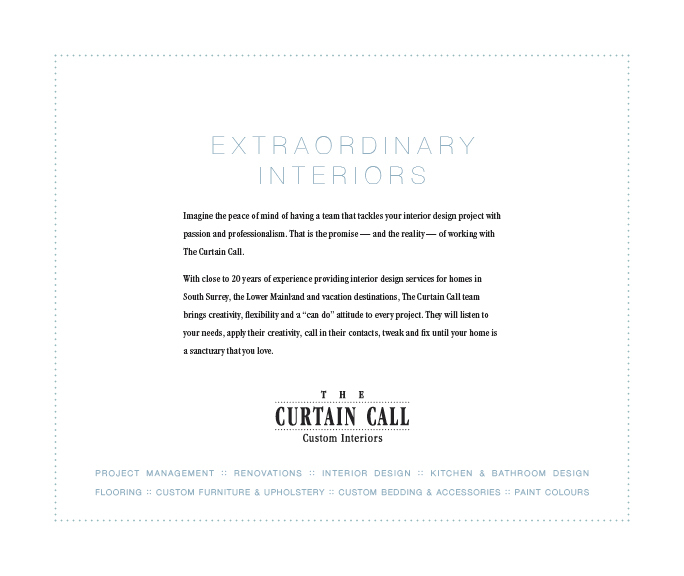 For more than 24 years, The Curtain Call Custom Interiors has been creating stunning spaces for clients across Metro Vancouver. 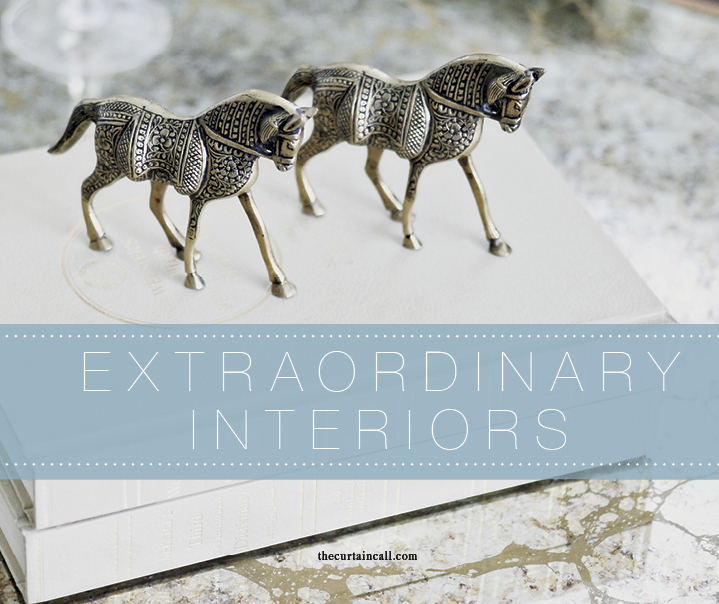 From one-of-a-kind window treatments to room transformations to complete home makeovers, Joan Walker and her team have consistently delighted clients and surpassed their expectations. 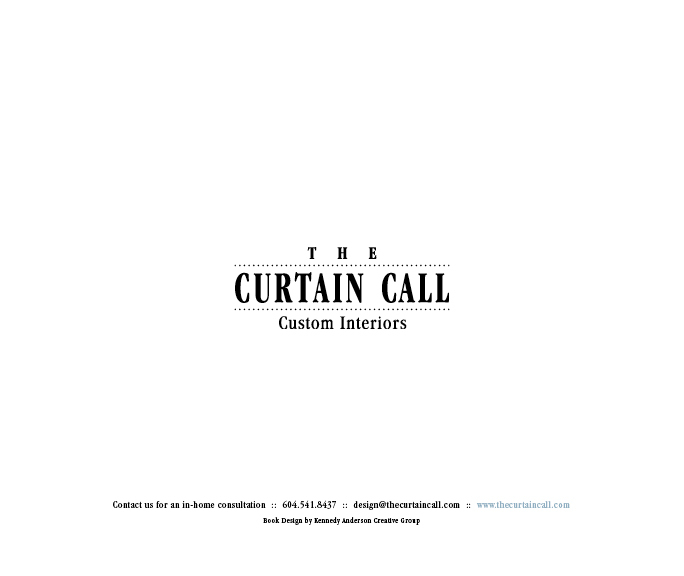 The company’s many repeat clients are a testament to The Curtain Call’s reputation for outstanding work and commitment to customer service. Joan’s longstanding and loyal team includes master carpenters, veteran plumbers and electricians, expert painters, European seamstresses, and other building professionals who take great pride and care in their work. Together with Joan’s project management expertise, they form a cohesive team that provides quality workmanship from the start to finish of every project. I absolutely love my work. I draw energy from the creative challenge of design. It feeds my soul. To say Joan is passionate about interior design wouldn’t adequately capture her dedication, skills and enthusiasm for her work and craft. 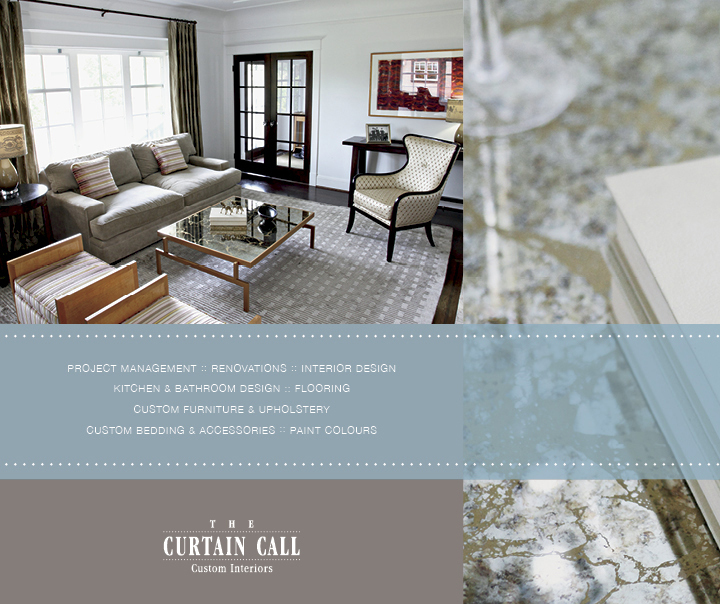 The founder of The Curtain Call, Joan is especially noted for her knowledge of fabrics and colours, her intuition for design and her ability to create timeless spaces that say “home” to her clients. Joan’s clients can attest that she has a singular focus on completing projects on time and with an unmatched attention to detail. 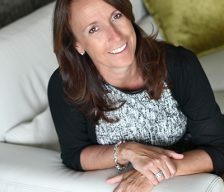 Focused, observant and tenacious, Joan especially loves the creative challenge of tricky layouts, diverse client tastes and balancing budgets with long wish lists. 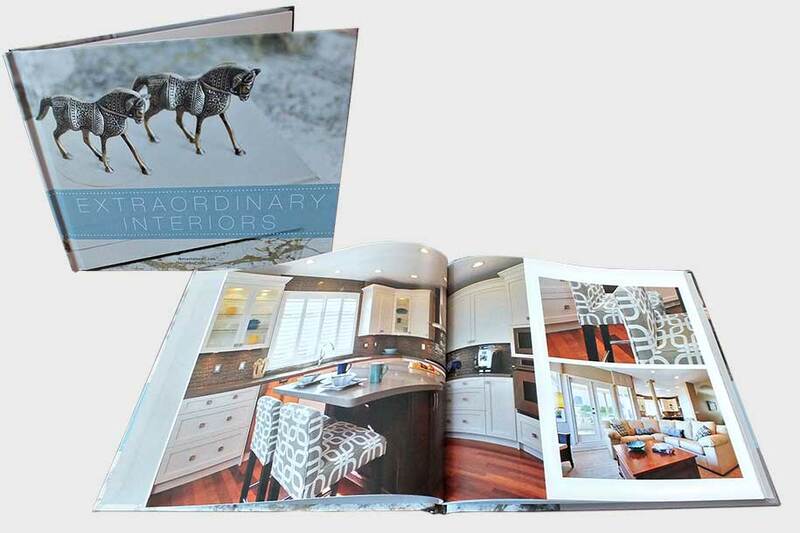 As passionate about the community in which she works and lives as she is about interior design, Joan generously donates her time and resources to local organizations including the Peace Arch Hospital Foundation, Peninsula Community Foundation, Centre for Child Development and Rotary Club of White Rock. In 2012, she was awarded the Business Person of the Year by the South Surrey & White Rock Chamber of Commerce, in recognition of her leadership, vision and significant contribution to the community. 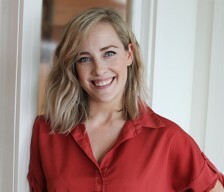 Lauren Fowler coordinates our client projects. Her professional manner makes her a delight to work with. She is courteous and answers communications promptly ensuring the smooth execution of orders. 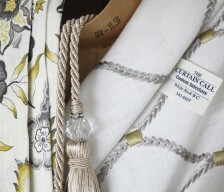 As a complement to Joan’s design expertise, Lauren brings a great knowledge of fabrics, and her own eye for style to a project. Managing logistics, coordinating trades and scheduling supplier shipments are all part of Lauren’s work day. After hours, she enjoys sharing good food, and maybe a little wine, with friends and family. Life in Langley suits Lauren’s active outdoor lifestyle.